1.2 Are any cheats or hacks for Chapters: Interactive Stories Real? Chapters: Interactive Stories is a role-playing game available on Android and iPhone. Since it’s very popular we were not surprised when we received a ton of requests from our readers about Chapters: Interactive Stories Cheats. Today we will answer all the questions our readers had about cheats for Chapters: Interactive stories. We will go ever whether there are cheats or hacks for the game. Furthermore we will cover whether it’s possible to obtain free diamonds and tickets in the game. But we will start off by giving a brief overview of the game. Chapters: Interactive Stories is a mobile game developed by Chineseall Corporation on iPhone and Crazy Maple Studio Dev on Android. The game is quite popular on both platforms. The game has an average rating of 4.5 on the Google Play Store and has received a similar rating on the App Store. It has millions of players on Android and iOS combined. It’s not surprising that the game has such high ratings because it’s a lot of fun to play. In Chapters: Interactive Stories you are the one who decides how the story develops. In every chapter you have several choices that you can make, which is where the name comes from. All the endings of the stories are different based upon the choices you make. We have played the game ever since it was released. We really enjoyed how interactive the game is. It’s kind of like you’re reading a book where you’re the main character. However, one thing that we did not like very much about the game was how much money you need to spend. As with most freemium games nowadays the app has a lot of micro transactions. In Chapters: Interactive Stories you have the option to buy Diamonds and Tickets. If you’ve been playing the game as much as we have you know very well how important these diamonds and tickets are. We have spent more than we’d like to admit on them, and we decided we wanted to stop spending so much on a mobile game. We set out on a quest to find Chapters: Interactive Stories Cheats in order to obtain free diamonds and tickets. Are any cheats or hacks for Chapters: Interactive Stories Real? In our search for Chapters: Interactive Stories Cheats we found a ton of websites that claimed they have a diamond generator. They promised us that we only needed to enter our username and type in how many tickets and diamonds we wanted. We followed all their instructions but never received the diamonds. We were very disappointed to see that there were so many fake hacks out there. If you have been looking for cheats for a while you might have run into the same websites that we have. You might have tested them out and came to the same conclusion that we have: they’re all fake. They look pretty legitimate. Oftentimes they even have “proof” that their hacks work, but don’t let them fool you. 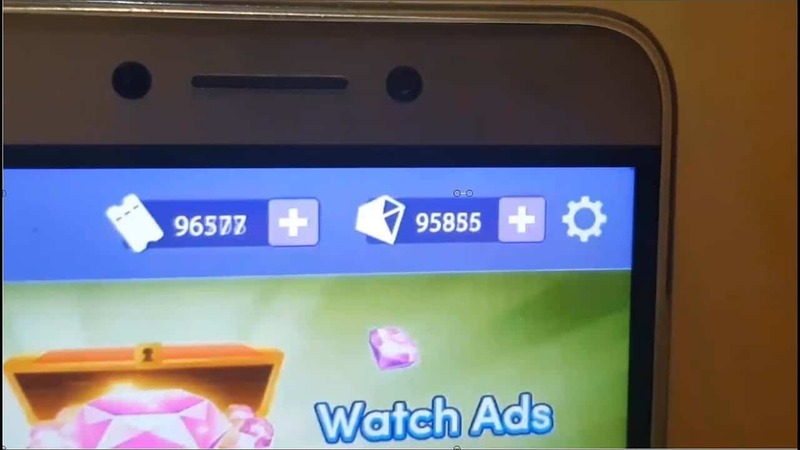 This proof is fabricated and you will never receive the diamonds you’re looking for when you use those sites. Unfortunately it’s impossible to hack Chapters: Interactive Stories. But it is possible to obtain free diamonds and tickets. While we were disappointed to learn that it’s impossible to use cheat codes in Chapters: Interactive Stories we knew that there had to be some way to obtain free diamonds. We did not give up our quest and we kept searching. Our search took many hours. We tested tons of methods and we finally found a way to obtain free diamonds. It was hard to find this method because it was buried deep in the internet. We were very happy that we finally figured out a way to obtain free diamonds and tickets and started writing a guide on it right away. Our guide will save our readers a ton of time. You won’t have to do any research yourself because we’ve done all that for you. Our guide will show you step-by-step how you can obtain free diamonds and tickets. And best of all, it’s available completely for free. We won’t charge you a single penny to access our method. Furthermore, you can use our method on both Android and iOS. This means that you can stop looking for Chapters: Interactive Stories Cheats for Android or iPhone because our guide will be all that you ever need. So, stop falling for fake hacks and cheats websites. Instead use our guide. We are experienced in creating guides and are confident that our guide will help you obtain all the diamonds and tickets you will ever need. Click the button below to get started!